D 12, Dynamic Microphone from AKG in the D 12 series. 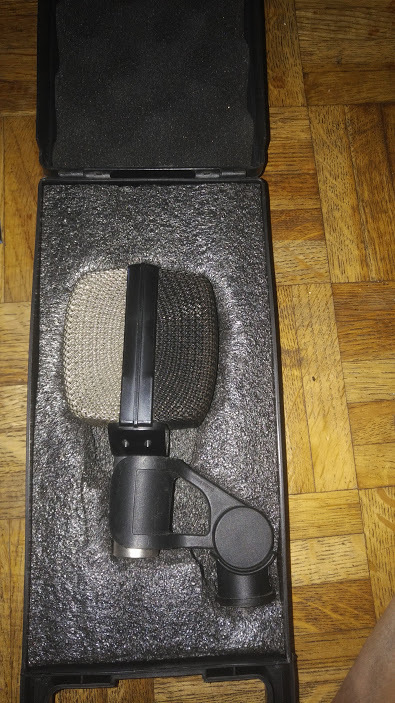 The AKG D 12 is a dynamic microphone that I have seen used in a local studio that we go to called Studio 82, I have seen this mic on almost every single drum set up they have used. I have only seen it on the kick drum though and used directly in front of it to get the full feel and thrust of the kick. I would never purchase this mic at this point just because we are going more digital and for the price of this mic we could get a whole drum vst that would serve us much better. But from time to time we do get some live drum recordings on some of our more synthetic music. Now I do request that they use this mic before recording , most of the time at that studio I don’t have to request it because they already have it mic’d up and ready to record. I think It was and probably still is the main kick drum mic over there and has been for years now. You wont find many mics that will sound this great directly in front of a kick drum without getting muddy sounding or the vibrations causing the sound not to sound natural. So I think the AKG D 12 is probably the best one that I have heard in a long while. I havent heard a lot of the newer kick drum mics that are out now or coming out now and within the last year, but having been using this one since around 2008, I can say it sounded great and still does. 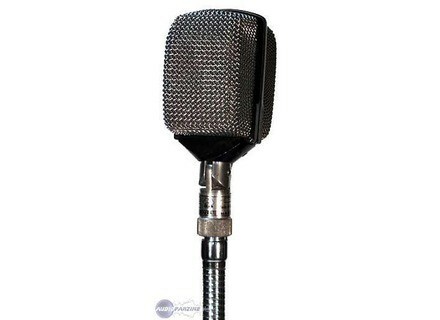 I highly recommend this mic to studios in need of a good kick drum mic. The mic will serve as more than just a kick drum mic though if you need it to but you can get the most out of it in my opinion directly in front of the kick. The AKG D 12 is a classic dynamic microphone that served as a predecessor to the ever popular AKG D 112. Like the D 112, the D 12 is best suited for recording low end instruments like kick drum and bass guitar. I've used the D 12 at a handful of different studios and I always love using it on kick drum when it's available. 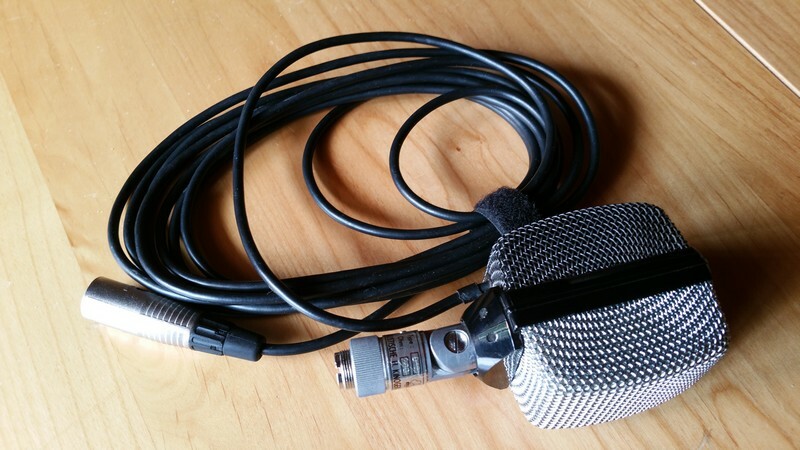 The mic has a cardioid pick up pattern and will gather frequencies in the 30 Hz to 15 Khz range. 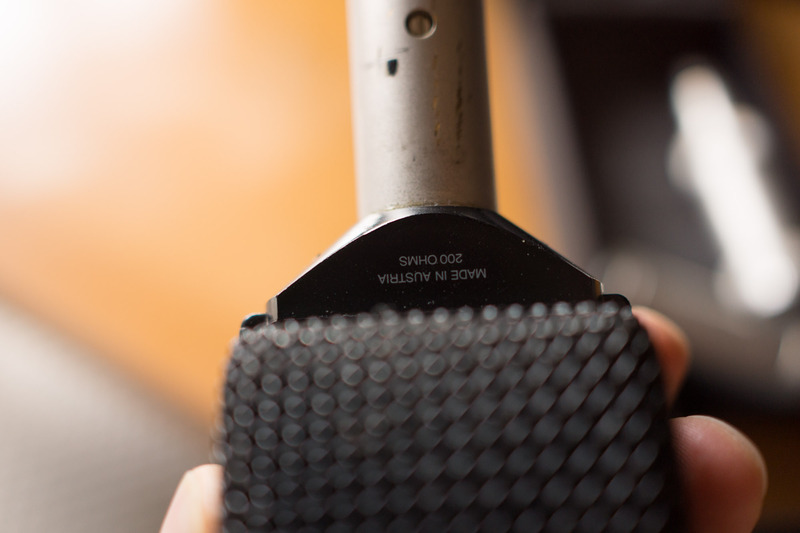 The mic is best suited for use in the recording studio since it's on the older side and isn't being made any more, but would certainly work for live sound as well. Having said this, it makes a lot more sense to use the sturdier D 112 for live sound. The AKG D 12 is one of my favorite dynamic microphones for capturing low end oriented applications. I've used it primarily on the outside of a kick drum, but also use it a lot on bass amplifiers. I work at a client's home studio where he has one of these, and it's definitely a go to mic for these applications. It can withstand a lot, but since it's older it's certainly more fragile than it's counterpart in the D112. Those looking for a workhorse kick or bass guitar mic should go with the D112 instead, but the D 12 has a special sound to it that sets it apart from the D112, which is no doubt a fabulous mic in it's own right. I've never compared the two of them side by side, but both are mics that are hard to go wrong with. I'd personally rather have the D 12 on hand, but they're harder to get a hold of and won't be as cheap as the D112 will be. Those in the market for a kick drum/bass guitar mic should definitely consider both the D 112 and the classic D 12. Micro dynamic Designed for bass instruments, but often used in singing (probably also for the look "vintage"). It has long t THE REFERENCE for the bass drum and bass amps, elbow to elbow with the Electro-Voice RE20, with 70 of the 60's. Electro-voice still continues to produce RE20, while AKG was replaced by the D112. NB: Despite the parent do not assimilate with the D112's successor, in his "modernisquot; (the era of its release ...) and more specially bass drum. Today they are often prfre Shure Beta 52 on scne, but they are still trs Priss studio because their rponse curve is flatter, easier work. The bandwidth of the D12 is around 40Hz-16kHz. He emptied the cash trs strong noise levels. It can be used with excellent results on all major instruments (drum, bass, trombone ...) and all powerful instruments (snare drum, guitar amp). Is made to work proximity of the source, but is not a reason to stick with HP systmatiquement unless one seeks an effect "loudness". I use it for more than 10 years. It is a most versatile microphone that does use which has made sound, good microphone, which is rare and little is known of the young generations. The use of a color you Confre IMMEDIATE sound a bit "vintage", trs fashion right now. But used it as surprising rvle of modernity provided for use with common sense and imagination, and not to confine the bass drum. It is all done on this instrument NEWS if you looking for a more natural sound, with less kick than the 52 beta, without ct "open" the PZM (microphone flat at the bottom of the poss gc on a cushion, mostly jazz).